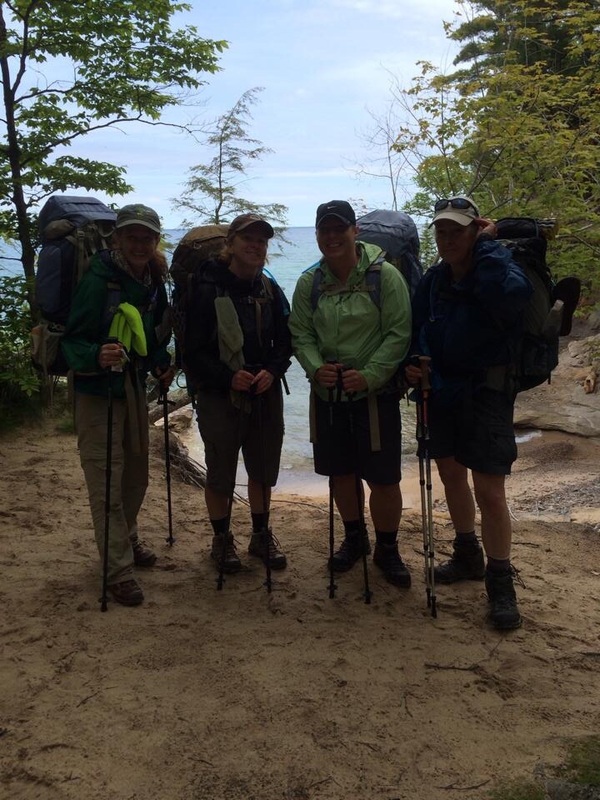 I've been hefting my pack for my annual trip with my daughter and our three outdoor enthusiasts Ronni, Michelle and Cheryl. The adventure begins on Saturday. The photo is from two years ago from our trip to the Upper Peninsula in Michigan. We packed on the North Country Trail. The weather was cool and damp with bugs as an added attraction. We love these trips. Truly. Saturday we leave for Cumberland Gap and Martins Fork. We have some strenuous rated trails and we are ready to be in the woods and even more the mountains. Cheryl, Ronni, Heather and Micki.